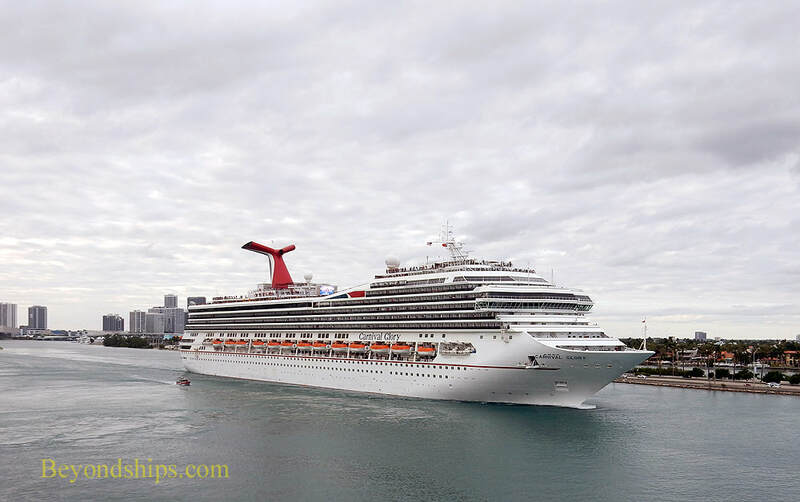 A familiar sight in Miami - Carnival Glory embarking on yet another cruise. 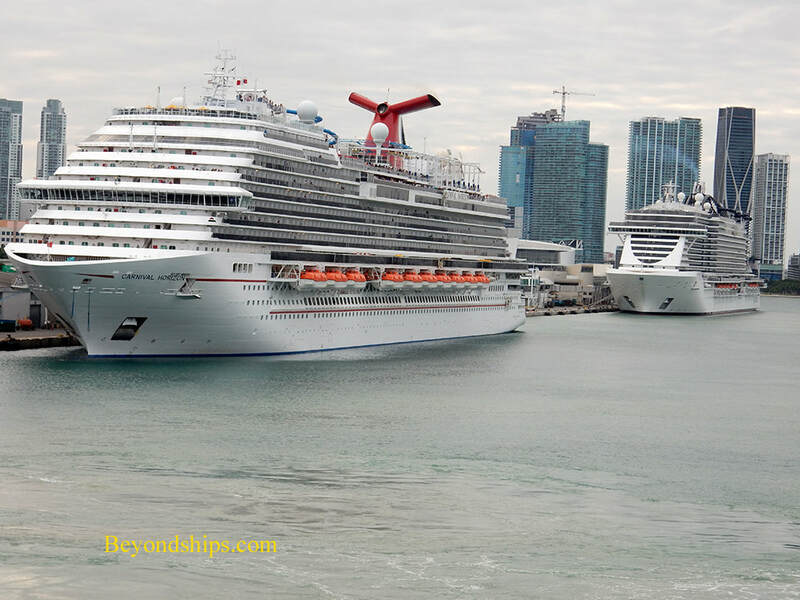 As Carnival Glory sails along past the cruise terminals on the north side of Dodge Island, she passes fleetmate Carnival Horizon and MSC Seaside. 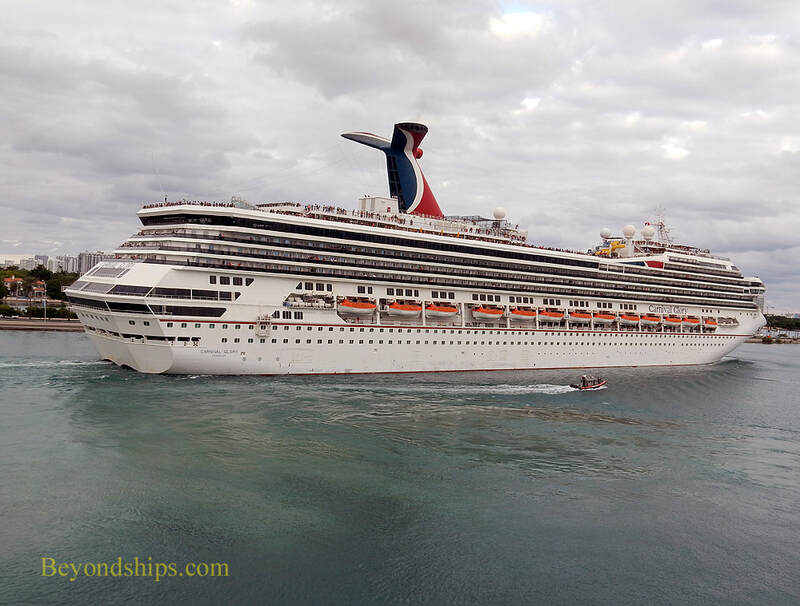 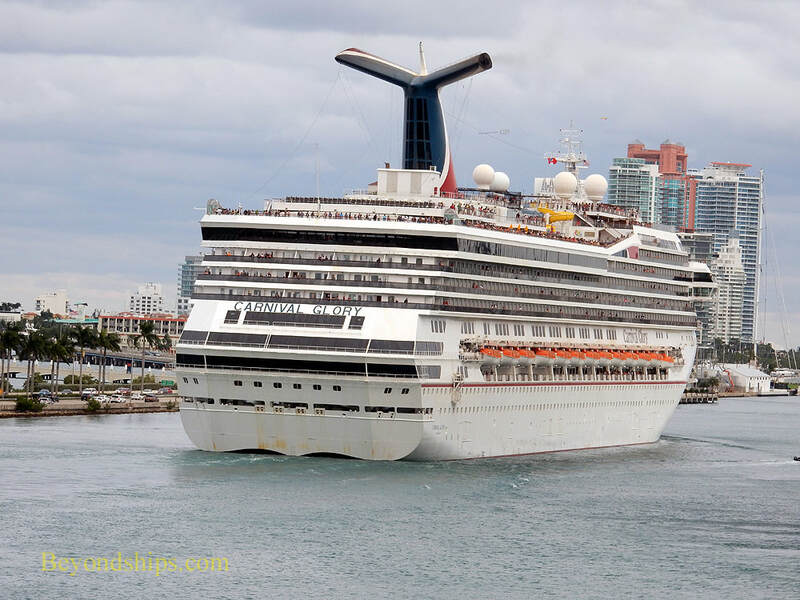 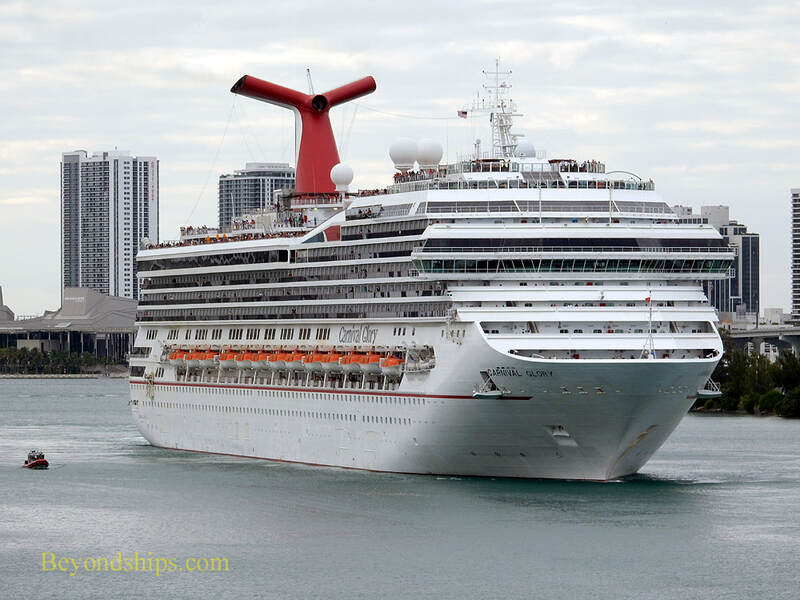 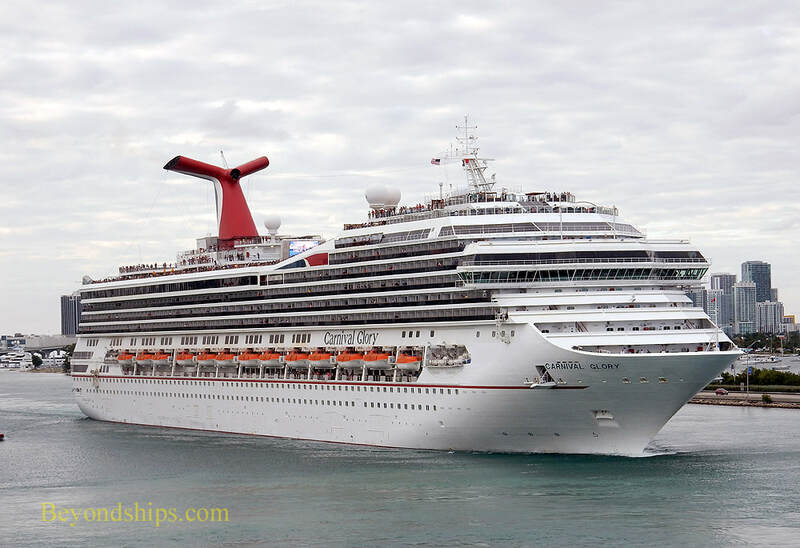 Carnival Glory's horns can be heard approximately midway through the video above.